COOKEVILLE, Tenn. — Republican Gov. Bill Haslam said Thursday he fully expects U.S. Sen. Bob Corker, R-Tenn., to seek a third term in 2018 and that speculation about his own future, including a bid for the seat, has been "way overread." "They just said what are you going to do next? 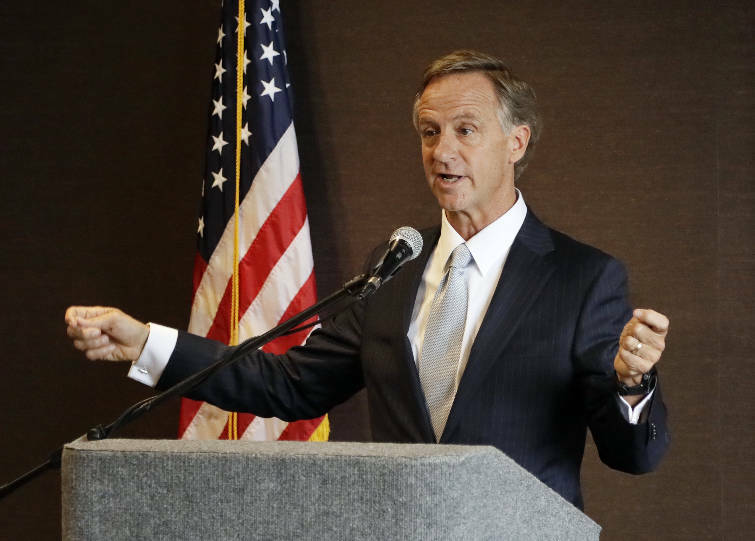 I said I have no idea," Haslam told reporters during a "town hall" meeting to promote his proposed IMPROVE Act, which seeks to increase fuel taxes for Tennessee transportation projects while simultaneously cutting non-highway taxes in several areas. Haslam, who is term limited and will leave office in January 2019, was asked at this week's Tennessee Press Association and The Associated Press meeting about what he intends to do when his term ends. "They said, well, you didn't rule out running for Senate, and I said I have no idea what I'm going to do," the governor said. "So I am not calculating running for the Senate." Asked if Corker, a former Chattanooga mayor, has indicated what his future plans are, Haslam said, "my assumption is that he's going to run for the Senate again. I haven't heard anything from Sen. Corker that made me feel like he was going to do anything except that." 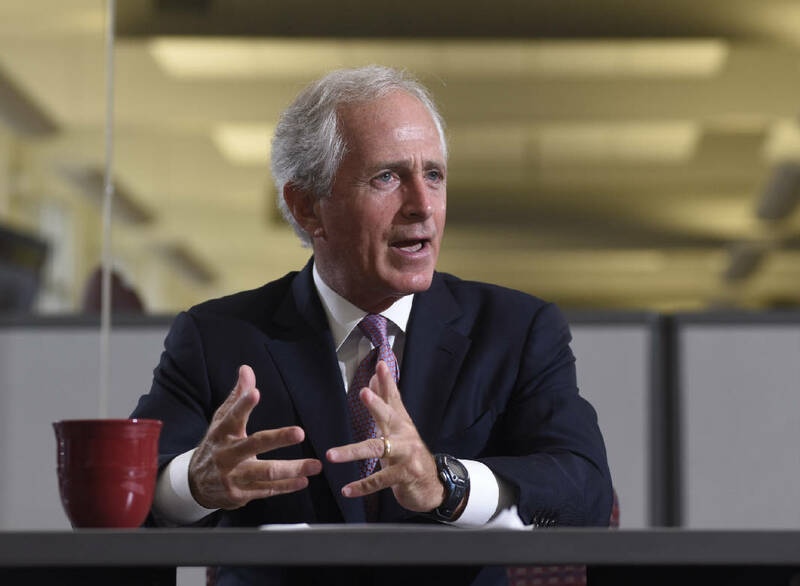 There has been speculation in some Tennessee Republican circles that Corker, now the chairman of the Senate Foreign Relations Committee, may seek to run for governor in 2018. His Senate term is up in 2018. Corker was considered briefly by then-Republican Presidential nominee Donald Trump as his running mate — Corker took himself out of the running — and later as then-President Trump's pick for secretary of state. The post went to Exxon Mobil CEO Rex Tillerson. Since November elections in which Republicans maintained their Senate majority and Corker kept his prime spot as chairman, the senator has been vague about his political future and the possibility of running again for Senate or running for governor. "I just don't want to go down the path of starting bringing in options," the former Chattanooga mayor said in a December interview, before Trump's pick of Tillerson but at a point when it was clear Trump was leaning toward the Exxon Mobil official. Corker said the "first thing we'll do is sit down and think about what our future should or should not be inside the United States Senate. And once that decision is made, again, it's what you attempt to do. The voters in this state are the ultimate deciders in these things. But you know what we do is something we'll be thinking about over the course of the next several months." A number of people close to Corker believe he will run again for Senate. But by delaying his public decision, Corker may be inviting trouble in Tennessee, a GOP-dominated state where ambitious Republicans are constantly peering into the mirror and seeing a congressman, U.S. senator or governor. There's talk in some political circles that Andy Ogles, director of the Tennessee chapter of Americans for Prosperity, may be weighing a Senate bid. Ogles didn't exactly quash such speculation during a Times Free Press interview last month. "There has been speculation along those lines," Ogles said. "Right now, the state of Tennessee is looking at a potential gas tax increase and that is my primary focus, is being the voice of Tennesseans who want to see taxes cut. And also at the federal level." Ogles said, "we have a huge opportunity with the new administration coming in and looking for regulatory reform, tax cuts for hardworking taxpayers across the country. And that is my focus at this time." When a reporter pointed out to Ogles that he hadn't actually said no to a possible Senate bid, the AFP-Tennessee chief said "we'll have another conversation in a few months. But again, there's a lot of things going on now that are our priority and, again, that is my main focus at this time." A day after the interview, Ogles announced in a news release he was launching a three-month-long "Reform America Tour" where he would travel the state focusing on "reforming healthcare, regulations, taxes and spending at both the state and federal level," as well as the "critical role" the "average citizen" can play. "Ogles will be talking to citizens and carrying their voices to the capitols in Tennessee and Washington, D.C.," the release said. He was scheduled to be in Knoxville Thursday evening discussing ways to fight Haslam's proposed fuel tax increases with East Tennessee libertarians.